An executive at the Teiai Group, Tonegawa Yukio, is ordered by the company president Hyodo Kazutaka to plan out death games for debtors. Awaiting Tonegawa at these planning meetings are ordeals, agony, and despair! 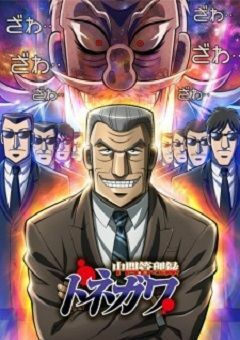 The demonic spinoff about the anguish inflicted on Tonegawa by the president and the company suits is now getting an anime adaptation!